Lydia Bright revealed she nearly quit showbusiness all-together after being inundated with vile messages from Trolls. The reality star, who was only 18 at the time of joining TOWIE, said she received up to 50,000 tweets an hour during her stint on the reality show and soon 'struggled' to deal with the abuse. Opening up to Loose Women’s Andrea McLean during HELLO! 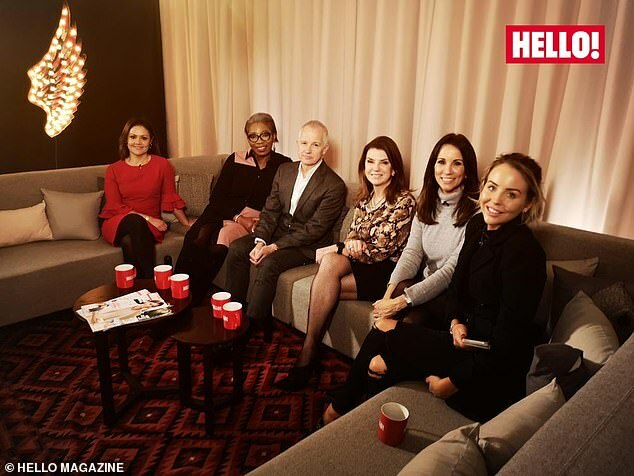 magazine’s #HelloToKindness panel discussion on Tuesday, Lydia, 29, said she turned to psychologists employed by the show, who helped her learn how to ignore the bullies. She said: 'I was the victim of severe Twitter abuse when I first started on TOWIE. 'I was only 18 and when I first started Twitter was just starting too. I was playing myself and people had opinions on that and they weren’t thinking about things before they put it out there. 'I knew I’d taken this job role on where I was putting myself out there but I was not ready for the abuse that I got at the beginning.